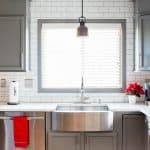 Learn all my tips and tricks on how to install subway kitchen tile and enjoy a beautiful backsplash every time you enter your kitchen! 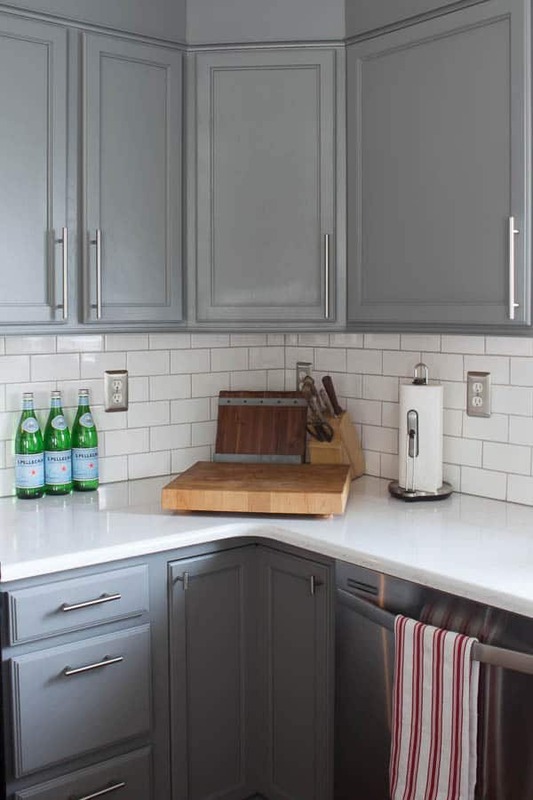 When I started envisioning my kitchen makeover, I knew without a doubt that I wanted to install subway kitchen tile. 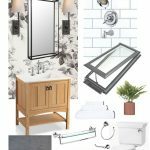 Did I know how to install tile? Nope. Not a clue. But I was totally willing to try. I think the finished results show you that I was successful! 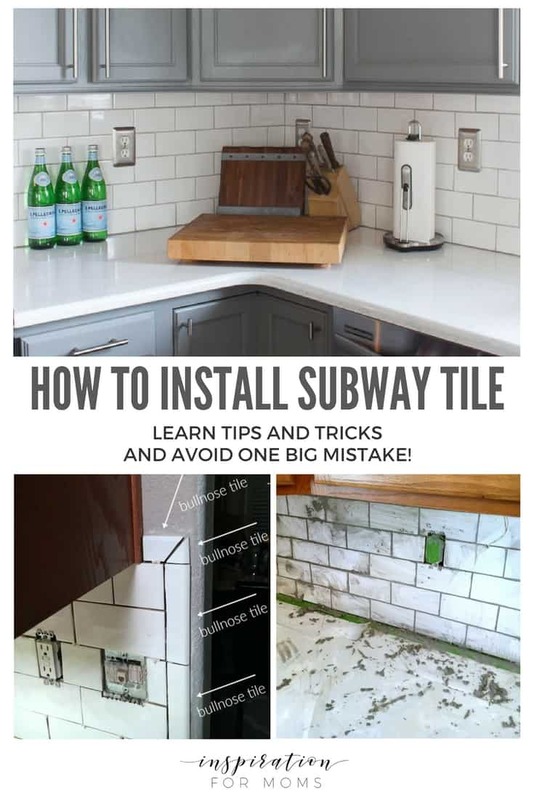 The whole process of installing the subway kitchen tile wasn’t hard. It was a little time consuming but I learned a ton. 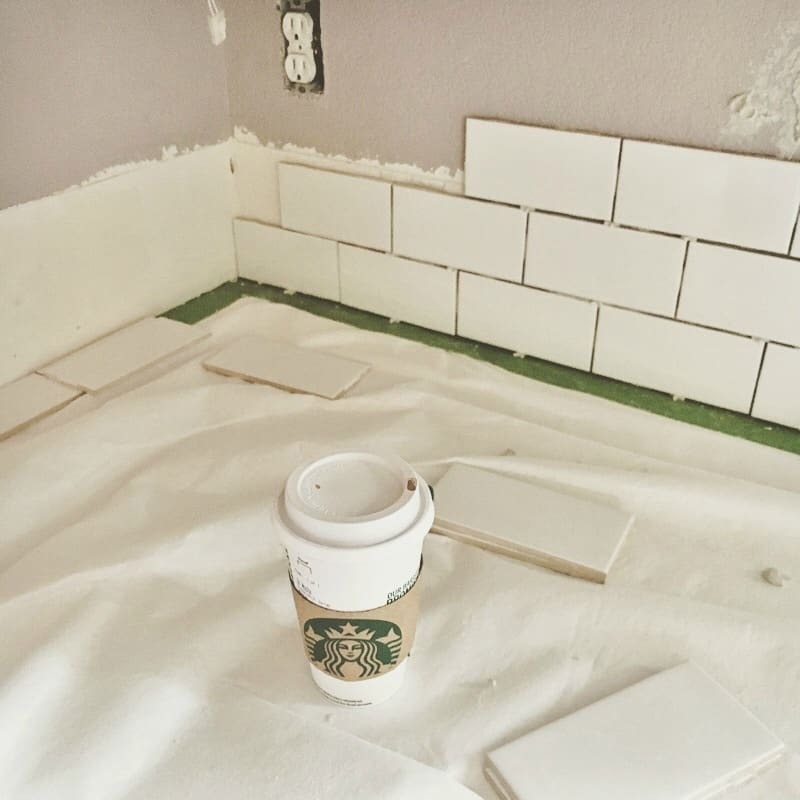 And it was absolutely worth it because now I have this beautiful subway tile to enjoy every single day! 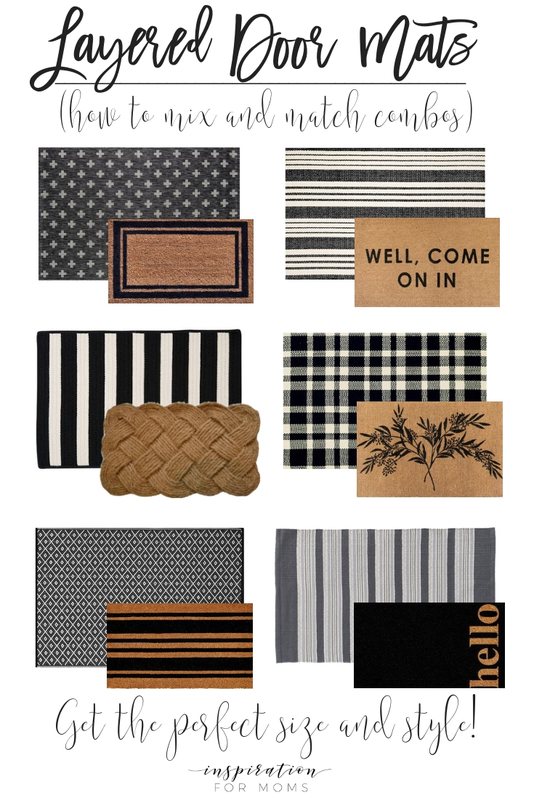 So first, let me share all the products you will need to complete the tile installation. 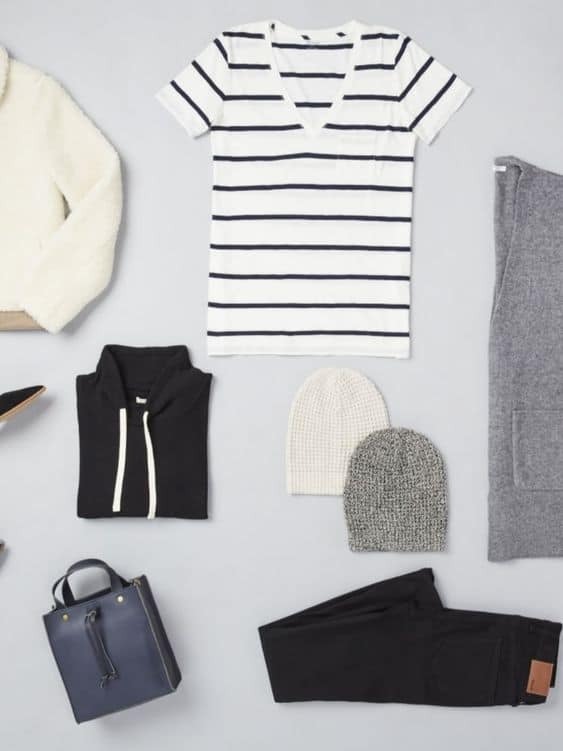 This post may contain affiliate links for your convenience. 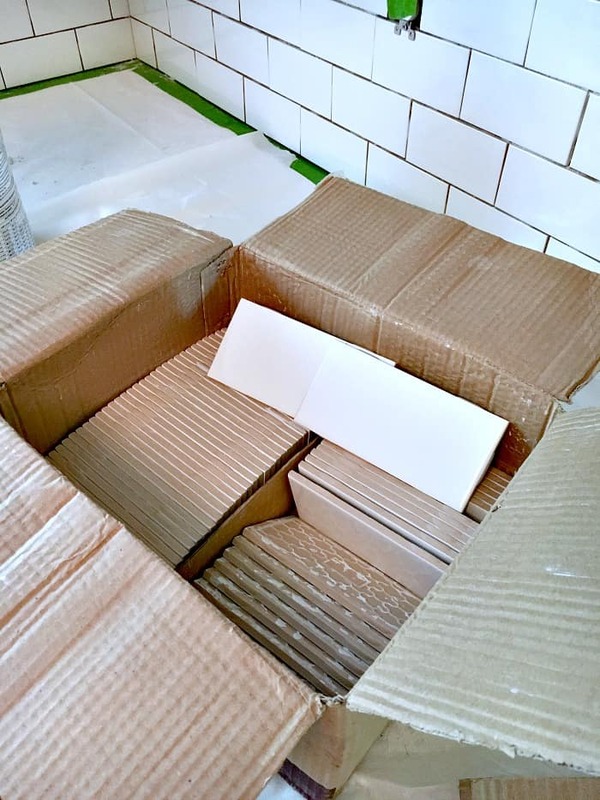 Alright, now that you have your supplies — let’s talk about how to install subway kitchen tile. 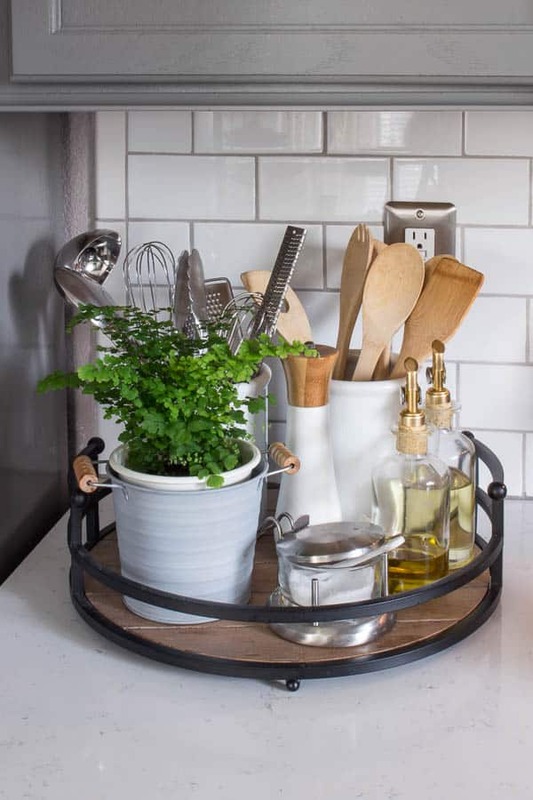 Although this tutorial can work for any tip of kitchen tile. 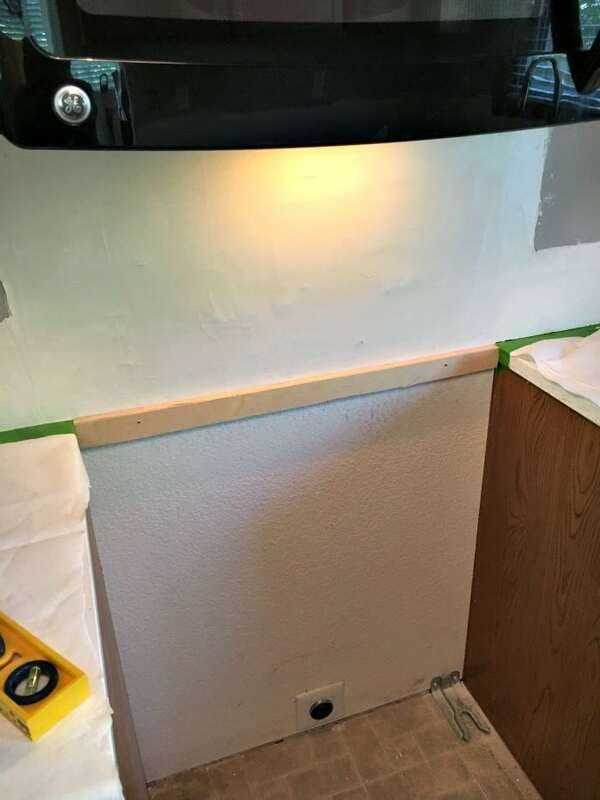 So the first step is to remove the existing backslash and repair the drywall. 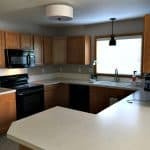 My old backsplash was actually removed by the crew that removed my old counter tops. And luckily for me, they also repaired the drywall damage as well. 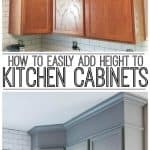 The only prep steps I took was covering my new quartz counters and installing a small board on the wall behind my stove. This was to support the tiles while they set in the adhesive. Once that was done, I removed all the outlet covers. It was now time to mix the thinset and start installing the individual tiles. Tip: don’t mix all your thinset adhesive at once. It takes time to place all the individual tiles, insert tile spacers and cut around outlets. You don’t want the thinset to dry out, so make small batches as you go. I decided to start the tiles in the center of my kitchen and work my way out and up. The first tile I placed was centered right behind my kitchen sink faucet. 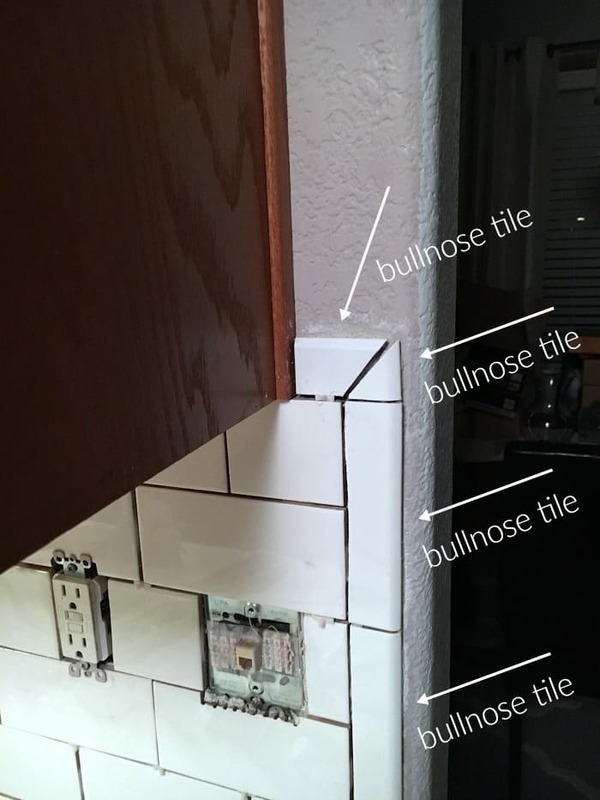 I would just spread some thinset on the wall with the notched trowel, then place the tile on top and press into the wall. Trick: in hard to reach areas, I would just spread the thinset adhesive on the back of the tile instead. 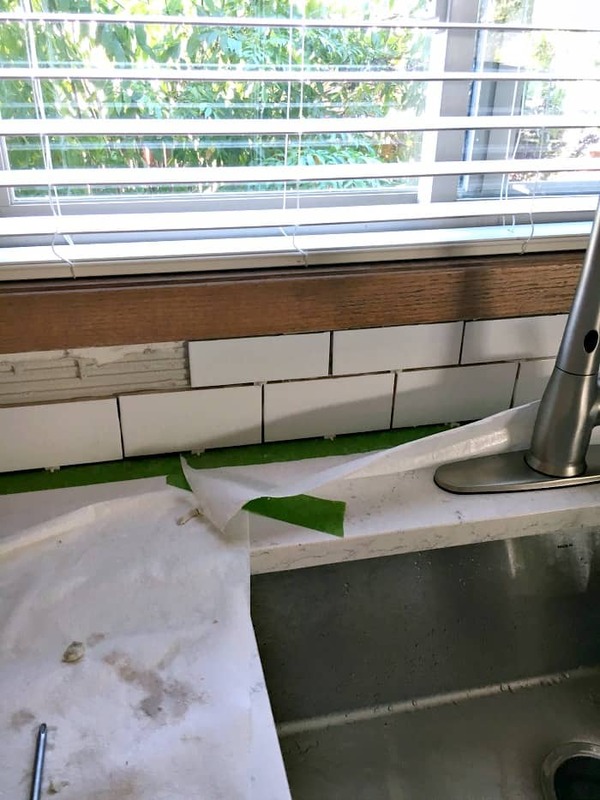 I know some start on the end of a wall and work their way around, but I knew I would be staring at those tiles over my sink every single time I was standing there. So to me and my perfectionism, I wanted those tiles dead center. And even now after completing the job, I think that was a good choice! Just something you might want to think about before placing that first tile. Installing the tile was the fun part. To me, the tricky part was the tile cutting. I had never used a wet saw before so I practiced on some tile to get the feel of how it cut. At first when I placed a tile on the saw, I ended up with a jagged nick at the very end. The reason that was happening was because I wasn’t pushing the tile through the saw with the same force from beginning to end. So once I figured that out, it was smooth cutting! I found the best way to cut out tile was by placing it near the object and marking it with a pencil. Then I took the tile to the saw. 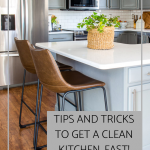 Tip: to cut smaller notched cuts, lift the tile up at an angle so the saw cuts all the way through the back without cutting to far into the front. The hardest cut I did in the whole project, was this tiny little corner piece. At the end of the wall, I used bullnose tile for a nice clean, professional finish. But the thing was, I only had so many bullnose tiles (like 8 total). I was trying hard to get that little triangle piece cut out but I kept screwing up. Eventually I cut a piece that I thought looked good enough to use. And lucky me, I had just the perfect amount of bullnose left to finish both ends of the kitchen walls. Hallelujah! The perfectionist in me struggled with this corner cut but the rest, I didn’t care! I knew those outlet covers were going to be my saving grace. 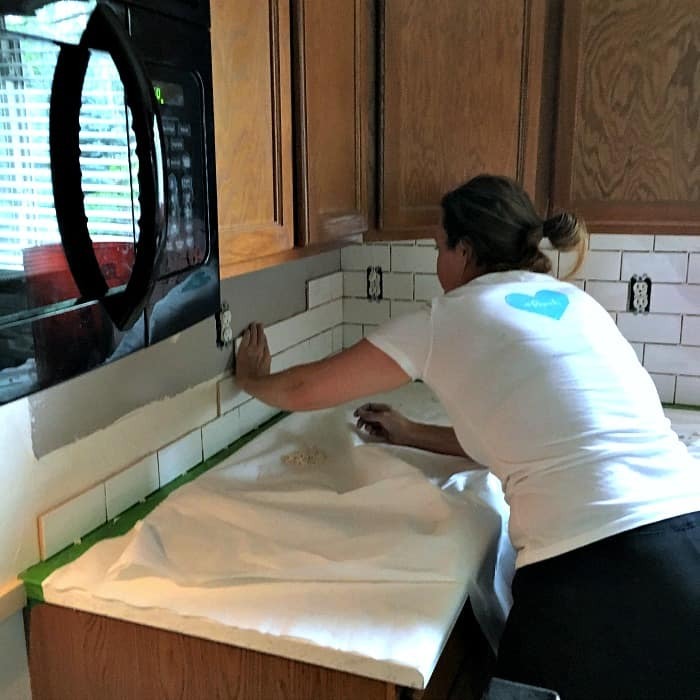 🙂 The first day I finished good amount of the backsplash. The next day, with help from Starbucks, I was back at it! I managed to get all the tile up in just two days working by myself. 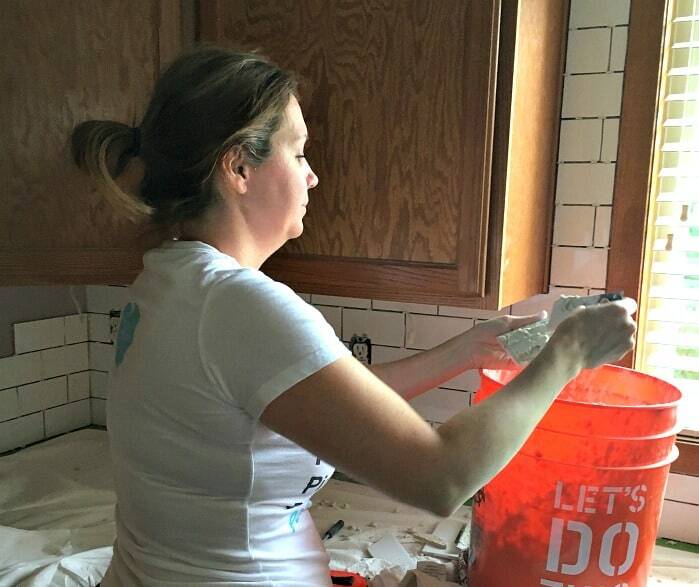 I let the thinset adhesive dry for a day and then it was time to get my grout on! 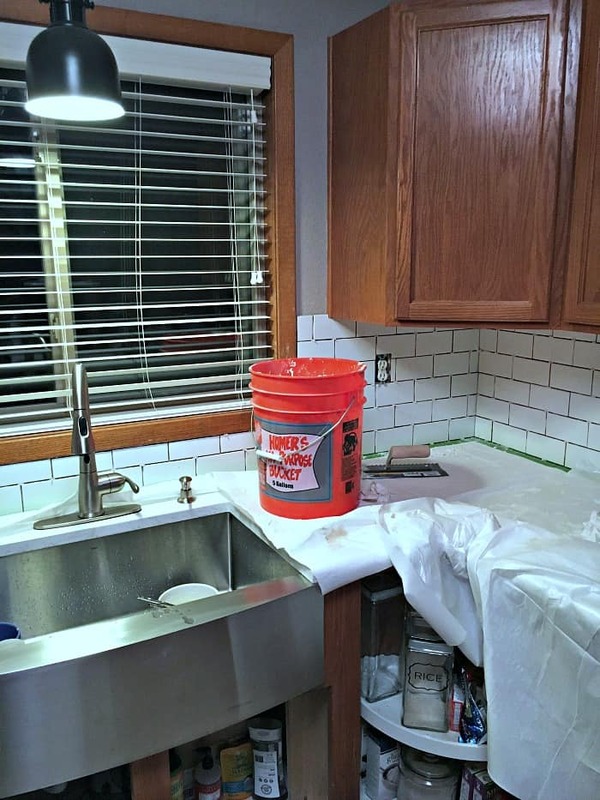 Here’s my biggest tip when it comes to doing the grout. 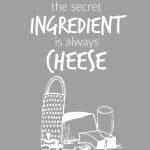 Mix it in small batches, just like the thinset adhesive. I made a big mistake here and mixed it all at once. BIG MISTAKE. Why? Let me explain. 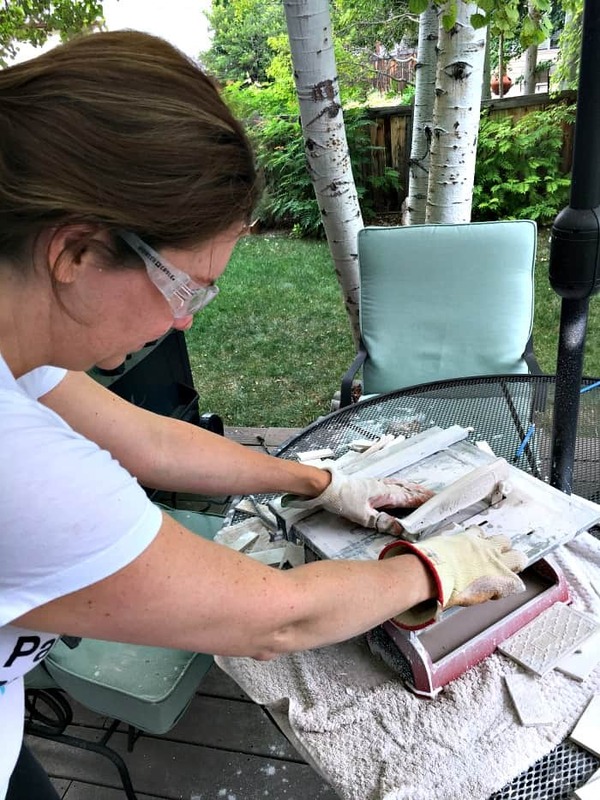 When I started the grouting process, I mixed the grout and then toke a rubber grout flout and started pressing the grout in between the tiles. Of course, there was excess grout all over the tiles that needed to be wiped off with a water wet sponge. 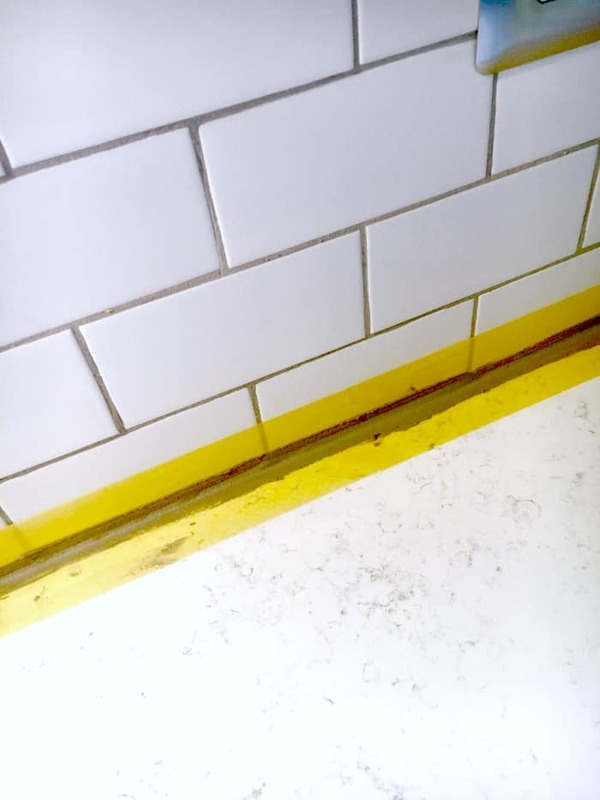 Tip: cover the outlets with painters tape to avoid getting grout inside the outlet. 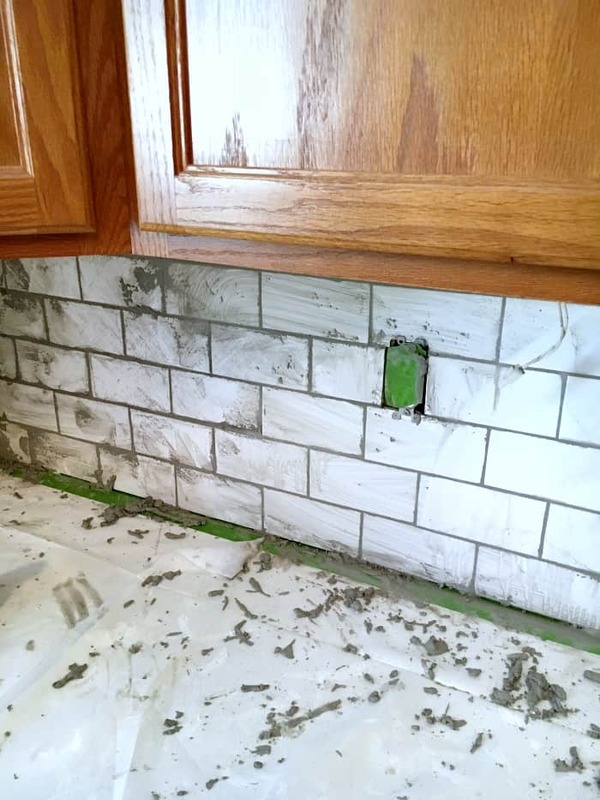 If the excess grout is not wiped clean before it hardens, it will then have to be scraped off. So here-in lies the problem. Because I mixed too much grout at once, it was drying faster than I could apply it and wipe off the excess. So I was having to work like crazy fast! I even asked Chris to help me on his lunch break because I was freaking out. So…again. 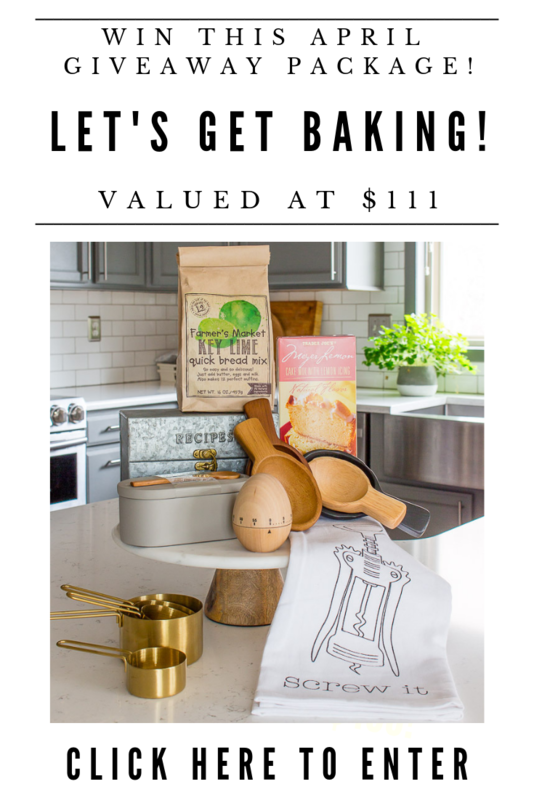 Make small batches and take your time. If I could have one do-over, that would be mine. You can see an example of how nice the grout was looking here before I realized my mistake. It took me like 4-5 wipes of the wet sponge to finally get most of the grout removed from the front surface of the tiles. Overall, my grout turned out fine. I did go back and scrape off some grout to clean up those lines as much as I could. 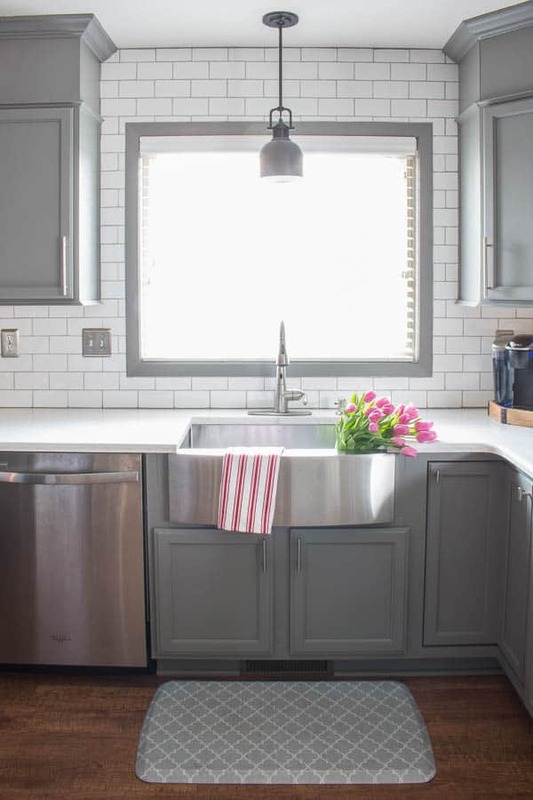 The perfectionist in me can still see some spots, but I just have to it go because — I really do love the finished look of my kitchen subway tile! And just to show you, here’s an up-close picture of the wall that was the last one to be grouted. Looks pretty good, don’t ya think? 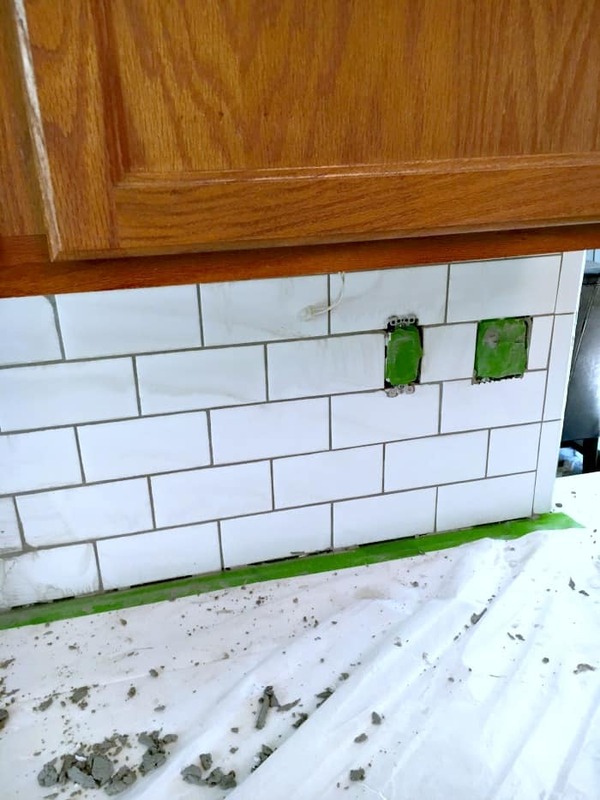 The last step I did to complete my subway tile installation was fill in the space where the tile met the counters with some sanded caulk (in the same color as my grout – Mist). I placed some painters tape on the tile and counter to give me a nice clean line. 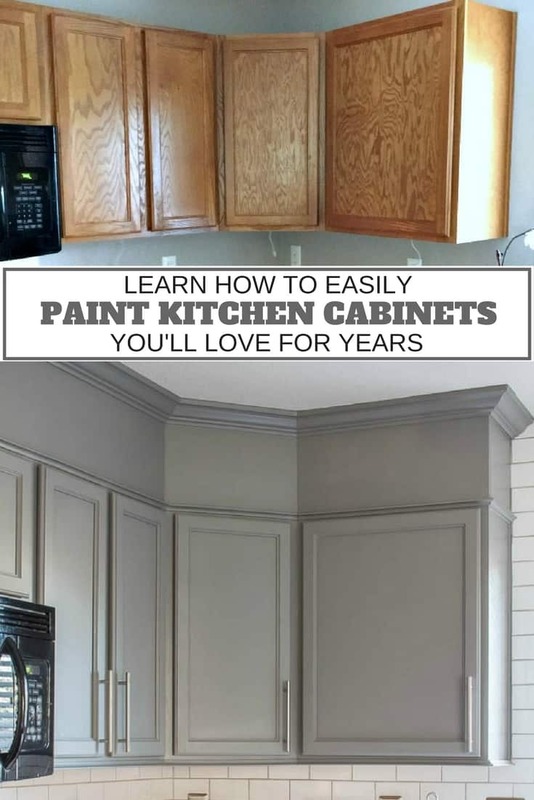 My final little tip I have for you is outlet spacers. I discovered when I tried to put my outlet covers back on, that I had too much space to tighten the screws down. So these little spacers solved that problem! 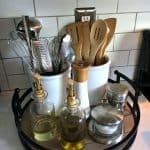 If you are thinking of installing subway tile or any tile in your kitchen, I say go for it! 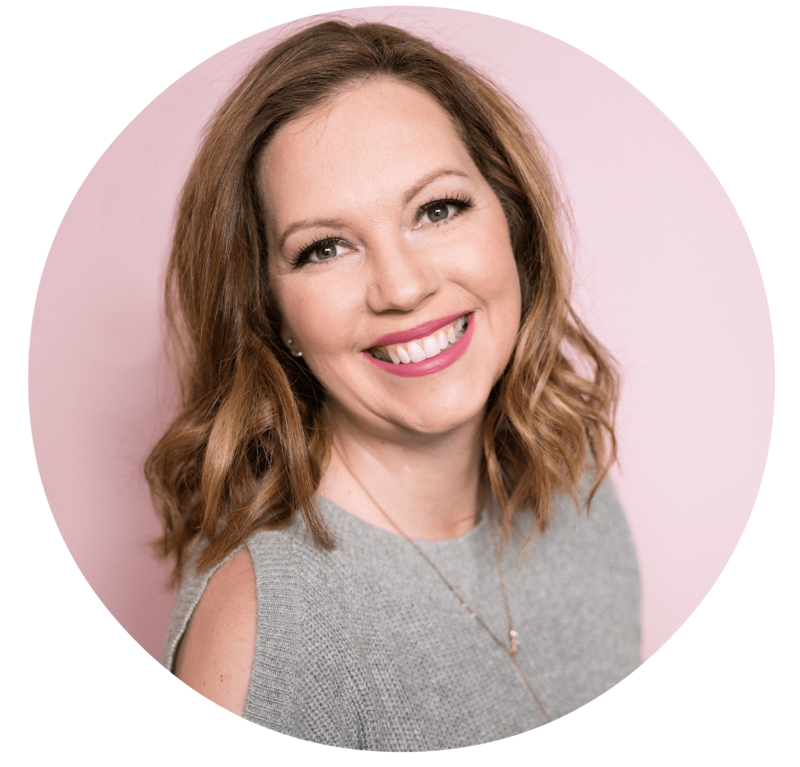 And be sure and pin this so you can find this tutorial later when you need it! 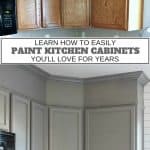 If you are wanting to update your cabinets, I also have a great tutorial on how to paint your kitchen cabinets HERE. 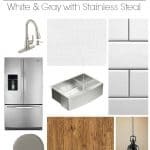 A big thank you to South Cypress for sponsoring this post on how to install subway kitchen tile backsplash. All opinions expressed are my own.